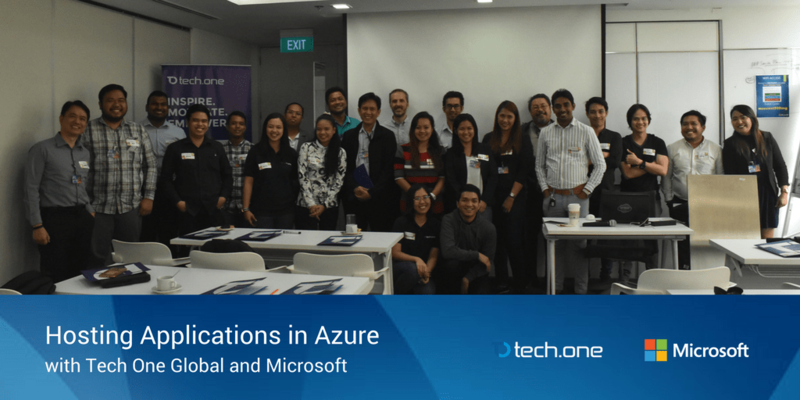 March 2018, 8F Mindanao Room, Microsoft Office, 6750 Ayala – Tech One Global and Microsoft Philippines recently launched their first learning session series for the year entitled: Host Your Applications in Secure Cloud: Maximize Your ROI through Azure. This two-part workshop series aims to aid organizations in maximizing their existing and planned workloads in Azure. Digital transformation, Azure workload, and site migration, and productivity and logic apps were the focus of the event with strong emphasis on Azure’s flexibility as a backbone secure and deploy apps, rather than just being a cloud storage. “Azure is a flexible and secure platform which organizations can easily scale up or down,” shared by Lars Jeppesen, CEO and Co-founder of Tech One Global during the workshop. “For your existing and planned workloads, a sturdy cloud platform is essential. It doesn’t just function as a backbone but also as a built-in security protocol that every hosted app needs… and that’s what Azure is: a strong, scalable, and secure hosting platform,” shared by Rusiru Tharaka, Manager of Cloud Services at Tech One Global and the main speaker for this event. Rusiru Tharaka has over a decade of technical expertise in Azure, having deployed over 50 projects in his career. He is a Microsoft Certified Professional (MCSA, MCSE, MCP) and a Microsoft Technology Specialist. The first leg of this learning session was held last February 22, 2018 at The Discovery Primea, Makati City. To know more about Azure from our experts, sign up here.